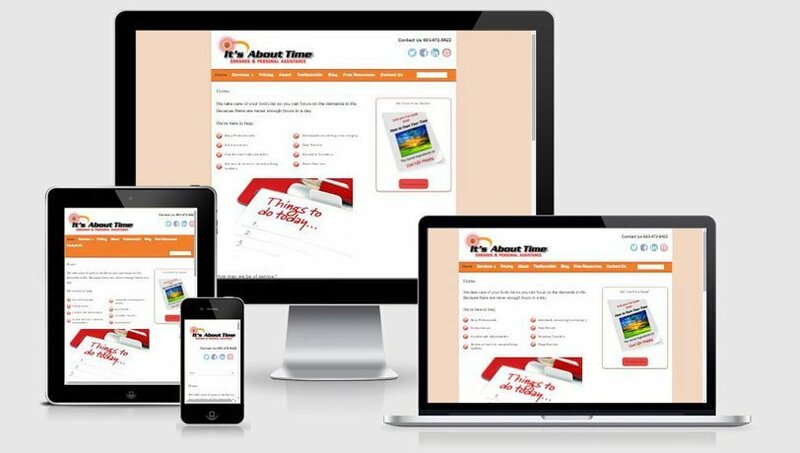 It’s About Time LLC is a personal assistant and concierge service company owned by Jane Heacock. Jane came to me after she’d seen (and really liked!) the website I created for one of her fellow concierges. Jane was looking to have her website redesigned, switching over to a content management system in the process. She also wanted an email template created that would be coordinated with her new website design for cohesive branding. So that’s what I did!